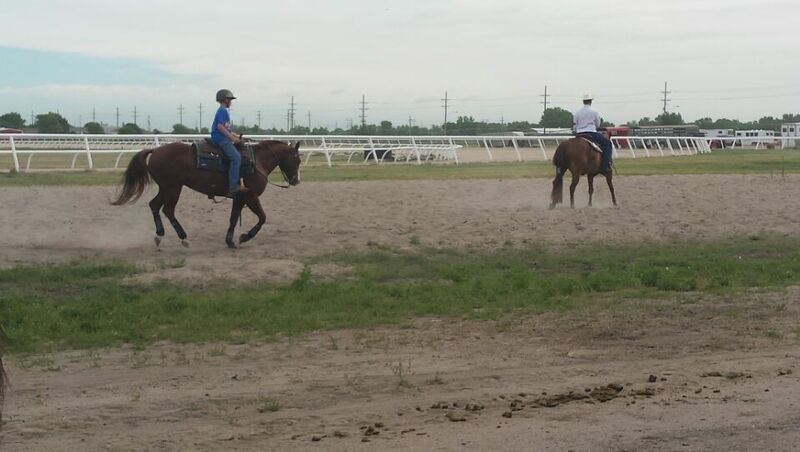 My kids and their horses. Crossing that river with a flag and holding that purple ribbon took HOURS and HOURS of working with their horses and rehearsing all the RIGHT things. Pictured left is "pre-game warm-ups" prior to a big show. ​First I have to say thank you for all of the "pawsitive" support that we've received for last weeks blog entry. It is a tough thing to throw yourself out there, but on the flip side, very awesome to know that you are not alone in whatever battle you're winning/losing/fighting or begrudgingly ignoring! ​Like everything in life, basketball appears super straightforward and easy. Put a ball through a hoop and then stop the other team from doing the same. On the surface, simple. I played Division I basketball at Syracuse University as a full-scholarship student-athlete and I can personally verify that it took over 40 hours a week for 4 years of breaking down that simple concept into a zillion small parts. So, simple is never really that simple. Take, for instance, walking your dog on a leash. Simple. Hook leash to collar/harness/halti/leader. Right foot, then left. It sounds as basic as tying your shoes. However, we have folks bring in dogs all the time that are literally waiting room nightmares. On the desk, jumping on their owner, peeing on the plants, picking fights with the cat carriers next to them. Owners get embarrassed, mad, sad, scared or make an attempt to find humor in the actions of their Tasmanian Labrador/Shih Tzu/Boxer. We often hear, "He's not like this at home." or, "We walk all the time, he's just different when we come here." We even have dogs that, "never leave the farm, Doc. This is the one time a year he wears a collar." But walking on a leash is simple, right? Yes, you know 100% where I'm going with this! Well, like basketball or anything else in life, doing something well is different than just doing it. We all can ride a bide, but we don't all finish the Tour-De-France. One of the quotes from our latest basketball gurus was, "Practice makes permanent, it does NOT make perfect. You are what you continually do." As I watched one of my kid's "less-than-good" habits continually rear it's ugly head during a fundamental drill, it really hit home- this is how he practices every time I see him and certainly when I don't. He has done this a million times when he's messing around and now it's become part of his game. Let the "un-training" begin. ​So, when "Rufus-the-wrecker" comes into the clinic and sticks his nose in another client's crotch, dislocates his mom's right shoulder lunging into his harness and refuses to walk when asked, I wonder what he does he walks in the park or when he interacts with his family at home. Is he allowed to cross in-front, behind or in-between mom's legs? Does he sit when meeting strangers? Does he turn into a 100-pound missile when he spots a squirrel at 75 yards? What are the expectations when people come to the house? Does he sit and greet or is he literally bouncing from the "windows to the wall?" Don't get me wrong, we love the Rufusses (or is it Rufi...???) of the world. Our clinics are designed to handle multiple and large dog G-forces, and we all have a soft-spot for anything fuzzy that wants our attention. Furthermore if we only had polite, therapy-trained dogs come to see us, we'd starve. However, hands-down, the folks who have either adopted the perfect gentleman, raised a "Miss Manners" or whose dog is literally too old to care, have a really relaxing vet visit, as do their chillaxed canines. Those folks don't have that look on their face that screams, "Please lets just get through this, please don't be a jacka$$. If you don't jump on anyone, I'll give you canned food when we get home." 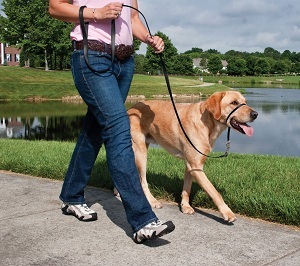 ​Step 1: Unless medically necessary, no harnesses on dogs over 10#. Use a collar, gentle leader, no-pull, halti, etc. A sled dog wears a harness to PULL a sled. A regular dog wears a harness to PULL his person. Also throw away any flexi-leads while walking. That is a spring-loaded rope burn and doesn't give you any control over your pooch's movement. You can't request Fido to sit as a stranger walks by if you have to reel him in from 30 feet untangling him from 2 trees and a fence post. 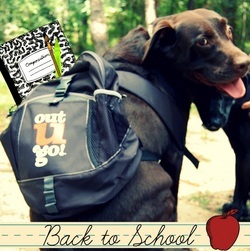 ​Step 2: Keep your pup on either your RIGHT side or your LEFT side at all times. I know, fancy obedience dogs and trainers will say your dog should heel on both sides. However, my 4-step plan is not aimed at that particular demographic! Pick something that is easy on both you and your dog and stick to it. "Carve out a few minutes a day, or even a couple days a week to help your dog be a dependable player on your team." Step 3: When you stop, she sits (and stays sitting until you ask her to get up). That includes meeting/greeting strangers, crosswalks, stop lights, etc. If you stop, her reaction should be to sit nicely at your side. This also includes when people come to your home or when you meet other dogs. Just remember, "When you meet and greet, take a seat". ​Step 4: Allow your dog to be a moron. Make sure your dog has time to play and be off-leash. All dogs (even the tiny ones) get the zoomies and need time to burn off a little steam. Taking a dog that's been inside all day out for a walk and expecting perfection is like expecting my 12 year-old to look like Michael Jordan when he's in 6th grade- ain't gonna happen. ​The happier and more respectful your pet-human relationship is, the more you (& your pooch) will gain from it! ​As a final note, the above in no way applies to cats. 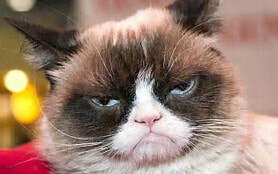 They rule the world and we are simply the beings with opposable thumbs that can run a can-opener and open the food bag. Sorry- you're on your own on that one! Happy walking and see you soon! They begged and pleaded to bring him home. "We can hide him from dad," they said. "We'll clean the litter box," they said. Ha. Ha. Ha. Every mother AND Santa knows better than that. Good evening friends! My name is Dr. Erin Schroeder and my husband, Dr. Ben Schroeder, and I are the proud owners of Cedar County Veterinary Services. However, if your fingers have led you to the birth of my blog, you probably already got that part. We have 2 kids, a semi-rotten cat and a crazy schedule. I posted the pic above because we literally have to laugh at ourselves daily to survive this fantastic, wild and amazing hand we've been dealt (because as much as I would like to think that I'm in charge of those cards, I am indeed not! I also felt this pic made my our good parts look better and our bad parts fade away-I'm not above that). I do love Santa (as my shirt professes) and also probably a little too much wine at my in-laws Christmas party, so if you aren't offended by that, welcome to my blog. It's not going to be anything remotely like James Herriot, but you can read it with an English accent if that makes it seem more authentic. ​As I mentioned before, we have one semi-rotten cat. His name is "Migos" (as in the rapper) and he is a full-blown foster fail. Although, to be truthful, the kids and I really wanted this cat and Ben was NOT on board. So, although we dubbed it "fostering for the humane society", everyone knew that we'd never give the cat back- rotten or not. I routinely do the local humane society spays and neuters and when this baby came in was like an itty-bitty pouch of hugs and snuggles wrapped in long, silky, black, fur. He was the most darling thing I'd ever laid eyes on and I knew for sure he would be adopted the minute he was available. When they're cute, its always easy to do my vet-bits, love and kiss on them, then walk away knowing s/he will make someone a wonderful new baby. Fast forward a month and this 10 week old little cutie had "adoptability issues" and developed a personality that wasn't going to win him any trophies. While someone would be filling out his adoption papers, he would bite whoever was holding him and scramble up on top of their head. He actually "un-adopted" himself 3 times for being a monster while his potential family was dotting their I's and crossing their T's. "Thanks, but no thanks," they'd say, "That cat is just not going to work. Do you have some Band-Aids?" I made the mistake of bringing my two boys to help one day at the shelter when the little ball of Satan was being particularly snarky and my equally semi-snarky teen and his little bandwagon brother thought it was the best thing they'd ever seen. They begged and pleaded to bring him home. "We can hide him from dad," they said. "We'll clean the litter box," they said. Ha. Ha. Ha. Every mother and Santa knows better than that. ​Using my amazing connections (or more likely, the staff and volunteers were sick and tired of treating their bite wounds), we got the green light to foster him at our home. 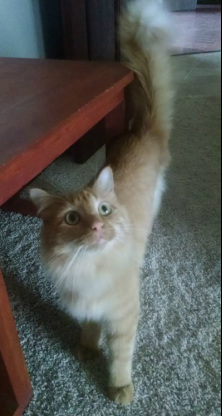 On his first day, he literally ran about 45 miles around our apartment at high speeds of varying orbits. We thought we had cured his rotten with his prolific exercise release after he finally collapsed and snuggled like he was a stuffed toy you won at the county fair. However, 24 hours after a good nap, he was up to his old habits and seemed to be even worse. He bit anyone that was within a 4 foot radius. Attacked our legs. Climbed the curtains. Clawed up the furniture. Yanked anything with fringe hanging in the closet off the hanger and went WWE on said fringe. He granted no acknowledgement that counters were off-limits. And with great amusement, would stick one, two, three or all four feet under the bedroom door and yowl at high frequencies once the lights had been turned out just long enough for us to be asleep. He was a ball of fun. Like bringing home a newborn with talons and razor sharp teeth. ​Since we/I scoop daily, I love clumping litter. I get the stuff that weighs about a quarter of the poundage of regular litter (we live in a 3rd story walk-up apartment), but it is like the sand from an hourglass. Furthermore, the worst of his intolerable behaviors is to apparently go 100% chinchilla in his litter box (google chinchilla sand bath for clarification) and manage to get cat litter stuck in every single hair on his entire body. Thereafter, he shoots at high speed out of his box and onto the a) couch, b) hard-to-vacuum rug or c) king-size bed spread. It actually feels like we have sea-side beach cottage some days (recall however, Northeast Nebraska- 3rd floor walk-up). Since bringing home our lovely addition, the vacuum cleaner starts to shake and cower in the corner when I reach for it. I literally (no pun intended) give advice on a daily basis to owner's about their litter adverse/urinary syndrome/behaviorally challenged cats. But, unlike most, my problem is that my cat LOVES his litter box. Thus, my great cat litter debate, is really not a debate at all, it basically boils down to deal with the litter because we love our semi-rotten cat. And, he doesn't hurl on the rug, crap in the plants or eat any of the hair-ties that he confiscates. Life lesson: it can always be worse. So for now, we have scads of throw rugs making a path from his box to where we believe most of the litter will have "released it's hold". I try to remember slippers in the mornings so I don't step bare-footed and sleepy-eyed into the sand dune deposited in the kitchen while I grind my coffee beans, and I rest assured that any midnight attacker will have a fate worse than any guard dog could dole out (angry cat ninja wins every time)! So, as I pour my coffee and get ready for the day, I smile at the only other face up that early and toast my beautiful semi-rotten. 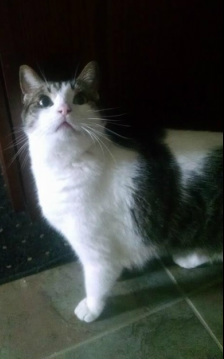 Last month we introduced you to Max, a 12 year old softie that joined Dr. Kris's family. 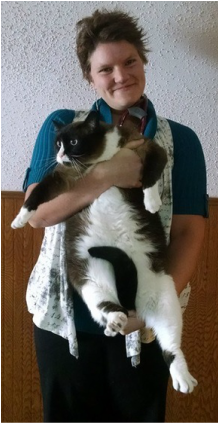 As an overweight pet, his first priority was slimming down. Obese cats are at high risk for developing diabetes, orthopedic injury, and high blood pressure. Good news! Max started at a hefty 18.9 pounds and his weight today was 17.2#. He is already starting to look leaner and has an easier time grooming. Although he still has a ways to go to reach his ideal body condition, he is on his way to a healthier and happier life! At his next weigh in, Max will share some of his exercise tips you can choose to help your overweight feline friend shed some pounds to look and feel better! Reducing Stress at the Vet - By Following Dress Code! If you have nightmares of playing tug-of-war with your dog in the vet clinic parking lot, you are not alone. We always do our best to make visits fun, but getting shots surrounded by strange smells and new people can be scary and make our patients pretty unexcited about repeat visits. The good news is you can help reduce your pet's stress (and your own!) by using appropriate restraint devices. 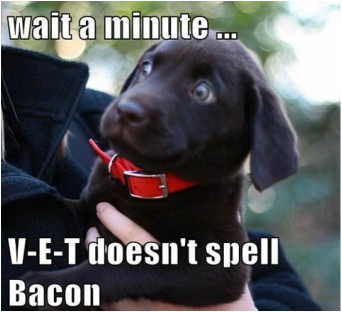 Check out our advice for your type of pet! 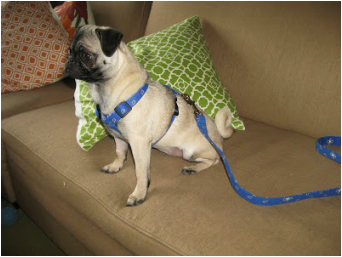 Small Dogs: Ideal restraint includes a well-fitted harness and a non-retractable leash (6 foot works great). This provides comfort and prevents throat irritation from dogs with a tendency to pull on the leash. Retractable leashes are the bane of our existence at the clinic; seriously, we hate them. Dogs can get tangled around your feet, furniture, or other dogs making for tripping hazards. In addition, rapid retraction of the leash can cause burns on fingers and palms. If you have a retractable leash for walks, please leave it at home and invest in a good fixed-length lead for clinic trips - we thank you! Large Dogs: Harnesses usually aren't great for large dogs because they shift a dog's energy to the strongest muscles - think of a sled dog in harness. Usually well fitted collars and a fixed length leash is best. For dogs that are extra excited and a little hard to control, a head harness like a Gentle Leader works great. Head harnesses work like a halter on a horse - by controlling the head you are able to control a powerful animal without extra stress on your own joints! Cats: Cats hate the vet. We get it. The best we can hope for is to minimize stress and the chance of your finicky feline taking their displeasure out on you. Cats should always travel to the vet in a carrier; even kitties that don't mind us might panic if a loud, unexpected dog is loose in the lobby (unfortunately you can't control anyone's pet but your own). 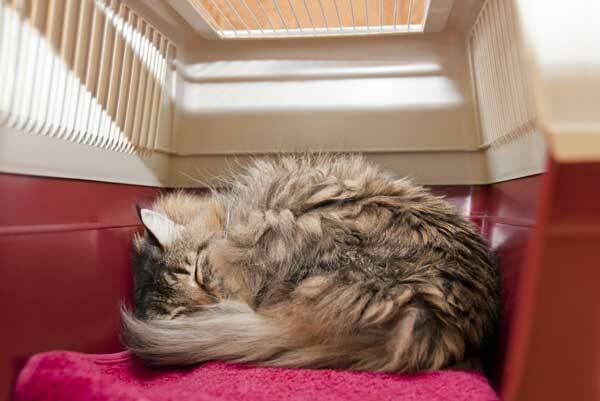 Placing your cat's normal bed or a familiar blanket in the carrier can really help keep kitty calm - which makes the exam much easier and allows us to do the most thorough job possible. Some cats do really well with a pheromone product like Feliway; spray a little in the carrier for a happy cat and happy trip to the vet! Otitis - Oh the Horror! Otitis, or inflammation of the ear canal, is a common problem in both dogs and cats though we tend to see more cases in dogs. Otitis can affect the outer portion of the ear, the middle portion, or the internal ear where it may also affect balance. Typically we see infections of the external ear canal caused by yeast or bacteria. Ear infections can be triggered by many factors. 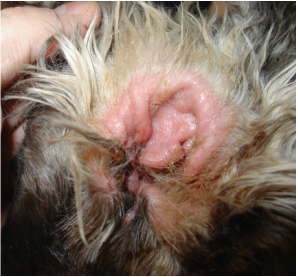 Ear mites are often blamed and are often present in outdoor cats, however, ear mites are uncommon in dogs. Many dog breeds (especially spaniels and shepherd breeds) have heavy, pendulous ears that trap moisture and create a warm, dark, damp environment - perfect for an infection! Other breeds (like poodles and other toy breeds) often have very fluffy ear canals; hair in the canal can trap wax which in turn can trigger an infection. Water-loving breeds (calling all Labradors!) are predisposed to infections because they are constantly in the water - water in the canal is a recipe for infections. When an ear infection is diagnosed, we take several important steps to determine how best to treat it. A full ear exam is performed including checking the ear drum, or tympanic membrane, for any tears (the picture shows a nice healthy ear drum like we hope to find). If the ear drum is ruptured, topical treatment is generally not used as many medications can be very irritating to the inner ear. In those cases oral medications are generally selected. A cytology is also observed under a microscope to determine if bacteria or yeast are more prevalent. We tailor both the cleaner we select and our medication based on which type of infection we are fighting. Treatment generally lasts 10-14 days and a recheck is important to ensure that the entire infection is cleared. Once the otitis is resolved, maintenance ear cleaning once weekly is generally recommended to prevent additional infections from occurring. Join me here for periodic updates on how my weight loss plan is going. I know there are other hefty animals out there looking to get healthy and drop off extra pounds - I'll be sharing my workout tips, diet suggestions, and (hopefully!) progress here on the Cedar County Vet page to help inspire my fellow porky pets to keep making progress on their own diets! Each fall we get a boom in new clients, many of them students and many with new puppies and kittens. We understand the appeal: you're finally on your own, with your own place, and it seems natural to get your own pet. But please consider this decision carefully as you are determining the future of a unique living creature...and it's not just for a semester. 1) Time commitment: Fall is arguably the busiest time of the year - back to school, end of summer social events, heading into the holiday season, there is a LOT going on. Do you really have the time and flexibility in your schedule to add a pet that will require socialization, training, vet visits, and lots of love? 2) Stability: Changes in environment cause stress for our animal companions. 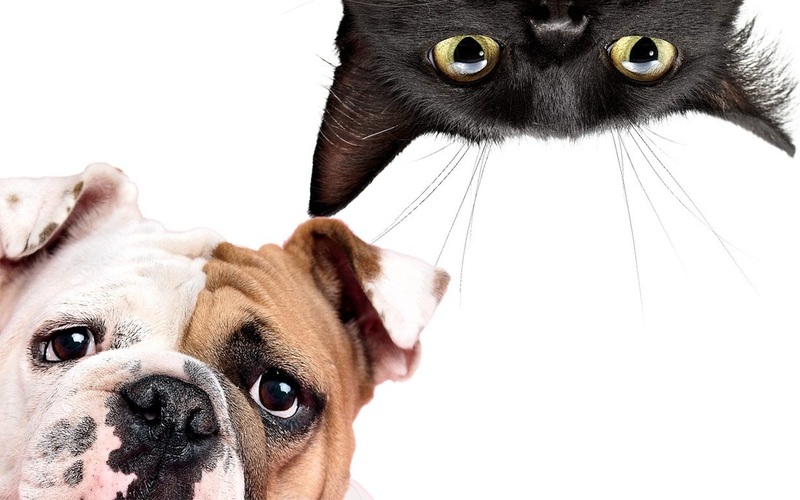 New roommates, frequently moving to new locations (or going back and forth from your parents each holiday), and changes in daily schedules can throw off your pet's groove and affect appetite, activity, and overall sense of security. 3) Cost: School is expensive. Really expensive. No, really really expensive. So is a new pet. There are supplies, vet visits, the spay or neuter surgery, food, more food, monthly parasite prevention, toys, unexpected vet visits to remove toys that were eaten...and the initial cost of the pet. Plus you gotta pay for your own dinner - Ramen noodles, again? 4) Lifespan: A new puppy or kitten is a decade plus commitment. Where will you be in ten years? Or two for that matter? Other pets including birds or reptiles may live several decades. Can you be positive you will still have the time, space, and devotion to meet all their needs? We love new pets and new pet owners, but please, please be sure you are prepared for the serious commitment you are making. Each year we see far too many animals homeless or even euthanized because they were an impulse decision and no longer fit into their owner's lives. Be honest and if you're not ready for a pet's complete dependance volunteer at your local shelter, visit pet-owning friends, and mooch all the benefits that make pets awesome while avoiding the commitment of having your own until the time is right. 'Tis the season of pollen and hay fever! Did you know cats can suffer from allergies and asthma just like people? If your cat has a cough it may be a precursor to a sticky hairball surprise on your bedroom floor...or it could be feline asthma, a potentially life threatening condition. Asthma is the most common cat respiratory disorder we see in veterinary medicine and affects about 1% of our feline friends. Typical signs include a hunched position with a cough sound or spells of rapid breathing with abdominal effort (heaving breaths). During a serious episode cats will often breath through their mouths which is always abnormal since a contented kitty breathes only through his or her nostrils. Episodes can be so severe that the animal may collapse and turn bluish-purple due to lack of oxygen. Feline asthma is similar to asthma in humans in that the major airways in the lungs, the bronchi, become constricted making oxygen exchange difficult. Common stimuli that result in bronchial inflammation and irritation include dusty kitty litter, cigarette smoke, aerosol sprays or perfumes, and environmental allergens (dust, mites, grass, pollen, etc). Generally it is difficult to determine what triggers an attack but avoidance is very important to minimize recurrent episodes. Asthma episodes can be single events but most cats have life-long risk of recurrent episodes. X-rays are the best way to make an accurate diagnosis of asthma and the good news is the condition can be successfully managed although a "cure" is usually not possible. There are many options for treatment including oral medications to help with bronchial constriction and steroids to reduce inflammation in the airways. We can also use special cat inhalers to help get medication directly to the lungs as a preventative or to assist with a severe episode. If you notice your cat is having difficulty breathing, please contact your veterinarian immediately as this is a true emergency!